The Haagsche Schoolvereeniging has a unique and long history. It began in 1891 with an unlikely proponent – a Leiden factory owner by the name Mr. C.H. Kranz. He decided to set up a small school on Koningin Emmakade in The Hague based on the Swedish model, where the daily timetable offered subjects such as handicraft, not as preparation for jobs in the craft industry, but because an emphasis on craft coupled with the academic subjects would, he believed, lead to a total well-balanced development of the young individual. This was a unique and pioneering development in the Netherlands and the school attracted a lot of attention from many interested parties. Pupil intake was high and it was necessary to move to another building that was located by the Buitenhof. The originality of such an educational establishment is evident in that the reigning Queen Emma and her daughter Wilhelmina paid a visit to the school. The famous Dutch educator and philosopher Jan Ligthart also enrolled his children at the school and went on to play an important role in transforming the little school at the Buitenhof into what became the Haagsche Schoolvereeniging. Interested parents could join the School Board and in that way they exercised their influence on the school’s development. The Board decided to set up an association which did not need to rely on Government funding and that would be financially independent. Such financial independence, coupled with the visionary ideas of the founders, ensured that the Haagsche Schoolvereeniging was truly a “school of the parents”. 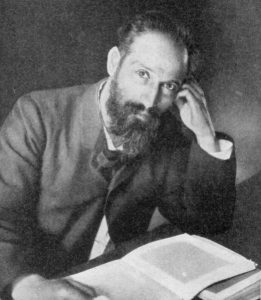 On the 6th of September 1901, ten years after the school’s inception, nine shareholders signed the legal document, marking the beginning of the school. This was to be a new and unique school in the Netherlands. Shares in the new venture were bought by the great and the good of the time so that an independent primary school could be established. A building was then found to house the school on the Nassaulaan, where the school has stood since 1901. In a short period of time, the small school building on Nassaulaan required extension and modification as the school’s population increased. During the extensions, it embraced modern technologies and upgraded the facility to include electricity, telephone and fire prevention – all considered high tech when compared to most other schools in the Netherlands at the time. The HSV was open to the influences of various education movements of the time such as Montessori, Jena and Dalton. The school leaders also had their eyes on developing a second school: the Netherlands Lyceum, where a HBS and Gymnasium department could be found under one roof. During the First World War The Netherlands neutrality did not mean that the HSV was untouched by worlds events. As soon as the war broke out, 320 soldiers had to be billeted at the school. Some of the teachers joined the army and went to war and The Hague found itself with a large amount of refugees from Belgium. This aside, the HSV was relatively untouched by the conflict in Europe and pupil numbers continued to grow. A difficult period began in 1929 when the HSV became severely affected by the economic crisis, decreasing the pupil numbers dramatically. The German occupation during World War II was of course also a difficult period. The school building was taken over three times, and the poor living conditions, especially in the final winter (The Starving Winter) of 1944/1945, meant that only a couple of hours teaching per day could take place. From September 1945, with the liberation of The Netherlands, things began to look up. There was a sharp increase in pupil applications however, because teacher’s salaries also rose, the school had to abandon one of its tenants of independence. Therefore from September 1950 the school began receiving financial subsidy from the Government. During the 60’s the school once again considered moving to another site. The building was gradually becoming too small and many of the surrounding buildings were being turned into offices, turning the once predominantly residential area to a more commercial one. This meant children were living further and further away from the school. A decision was finally made to invest in rebuilding. Unfortunately, shortly after the work was completed the school nearly had to close since pupil numbers did not satisfy the governmental standards. These regulations set minimum pupil numbers in schools and the HSV was only saved from closure at the last possible moment with the help of its latest initiative: the establishment of an international department in 1985. From 1986, parents from many of the surrounding embassies, as well as the increasing numbers of international companies and governmental organisations, were given the opportunity to enroll their children at the International Department’s first location: Nassaulaan (NSL). To this day the Foundation’s original building is shared between the Dutch Department the International Department. The intercultural contact between children from more than 50 countries played an important part in the school’s development. Integrated lessons of gymnastics, handicraft and music allowed the Dutch and International Department children to follow lessons together. By the end of the 90’s the International Department had become so successful that another building was needed to house the children on the waiting lists. This new facility was found in the former St. Paul school building on the Koningin Sophiestraat and opened to new students in August 2000. It has quickly become known as KSS. Most recently in 2011, a third location for the International Department was established on van Nijenrodestraat to support the ever-increasing waiting lists of expat families wanting to place their children in the HSV. The location, known as VNS, is now the International Department’s largest with two classes per year group. During a number of years HSV worked together with IVIO (Instituut voor Individueel Onderwijs), a special needs school founded in 1909, accommodated near the dunes at the Laan van Poot. In 1991 the boards of both foundations decided that it was in the interest of both schools that the HSV Foundation take over IVIO. Today IVIO still is a special needs school, still in the same beautiful building at Laan van Poot. In 2001 the board of HSV decided to take over a small private school for dyslexic children, called Het Open Venster. The school is still part of HSV and is accommodated at Tarwekamp in The Hague. The school is still small, with about only 30 students, but has an excellent reputation concerning the education of dyslexic children. Primary school Willemspark, accommodated in Frederikstraat, very close to Nassaulaan, was raised a hundred years ago as a Catholic primary school. Since 2000 the number of pupils went down and the board of the school decided to close at the end of the academic year 2006/2007. The board of HSV saw a chance to take over the school as a second Dutch primary school. 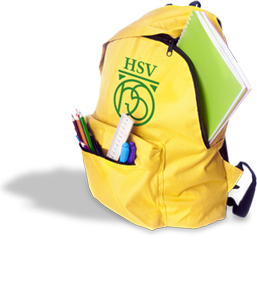 They succeeded and from August first 2007 the school is part of the HSV. In 2007 there were about 70 pupils; in 2010 this number increased until 200. The school has recently enjoyed a full renovation. The Foundation’s final takeover was December 2008 with Lighthouse Special Education. The school provides special needs education for expat children and is the only school of this kind in The Netherlands.